Do you know the story of Winery Lovers? Winery Lovers was born on 28th of January 2016 on Instagram. You probably already read on the About me page, that I graduated in Engineering of Computing Systems from Politecnico of Milano. But I have one greater passion: wine. This is the reason why I created Winery Lovers. I’ve always put the community at the center, sharing the best pics that tagged #winerylovers. The beauty of wine is that you never stop learning about it. The number of wines around the world is countless! And I like that you can share your personal discoveries in the wine trade with the other “winery lovers”. During the summer of 2016, I also created this blog. Instagram is perfect for sharing pictures of the wine that you tasted, but it’s not good for long texts so you can’t tell stories, share wine knowledge or write about wine events. Many of you have requested from me more details on the wine events. Then, I started to release some videos to show you the events in which I have taken part. @winerylovers has reached 100k followers on Instagram in just a year and a half! That’s impressive! This great growing rate has allowed me, Simone Roveda, to collaborate with a lot of wineries amongst many other things. Today I’m here, to share with you that @winerylovers has reached the 3rd position for best wine account on Instagram. The ranking was realized by Julien Miquel. Now, I want to give you more details about the ranking and who Julien Miquel is. What are the best wine accounts on Instagram? Let’s ask Julien Miquel! 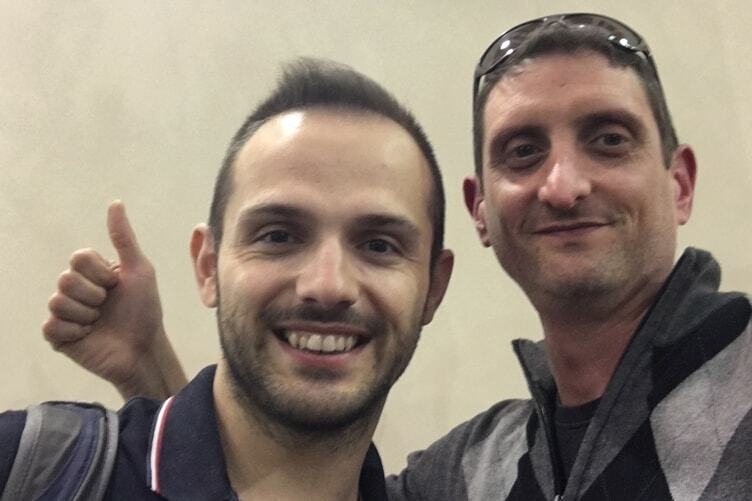 I first knew Julien from Instagram and then, I met him in person during Vinitaly and Vinexpo. This is the beauty of social media, getting to know somebody online and then meeting him or her offline. Ok Simo, who is Julien? Julien Miquel is the founder of the award-winning Social Vignerons wine blog. He’s a wine writer and wine blogger with international winemaking background. Furthermore, Julien helps the wine brands and wineries to establish and develop their digital communication strategy and he produces photo and video content for them. He’s also one of the three judges of Millésima Blog Awards 2018. As I already told you, Julien has done a ranking with the best wine accounts on Instagram. Now that I’ve explained to you who Julien is, let’s see why he is the right person to create this ranking. Hey Julien, what’s your relationship with wine? I fell in love with wine in my late teens, as I was studying biological science at University. I did an internship in a local wine region of Southern France and was simply amazed by the depth of culture, science, and human sharing associated with wine and its industry. From there I studied winemaking and viticulture in Bordeaux where I was lucky enough to be taught by and absorb more passion from some legendary enology professors such as Denis Durboudieu or Yves Glories. That’s where I also discovered the culture around grafting some of the finest wines in the world, working at Château Margaux. I went on to travel the world making wine in Tuscany, Spain, California, Australia and New Zealand. So wine is a lifelong passion and a job. It’s a huge part of my life. I worked for six years for the biggest wine-related website at Wine-Searcher where I learned that the digital world is such a powerful and enjoyable tool to share knowledge and experiences about wine. So, I decided to dedicate my career to this path through my blog, my content and my own independent business. What’s your opinion on social media for telling stories about wine? I often say that it is as if social media was invented just for wine. The wine industry is a very fragmented one, with many tens of thousands of producers spread around the world, and hundreds of millions of consumers in every corner of the globe. Social media allows everyone with an interest in the fermented grape juice they are drinking or making to connect, exchange and share experiences and stories. Social media is even more important to the future of wine than of most other industries. And about Instagram, is it the best social media for wine? Instagram offers the great advantage of allowing anyone to share photos and videos, and even some decent writing in a very easy-to-create and easy-to-consume experience. So it is a very engaging platform, which explains why it is so popular and booming. I wouldn’t necessarily say it’s the best though, as wine stories often require a little more depth and context to make coherent sense. Instagram has some limitations that do not always enable to share complete stories. It’s difficult to write long texts, and the audience is not often interested in reading there for very long. Also, videos can only be 1-minute long which can be too short to immerse the viewer in a wine universe. So Instagram is complementary to other platforms that allow reaching a different audience with slightly different angles. Instagram Stories are a great way to share snap videos of what happens during a day. A great feature! What are the requirements that you followed for the ranking? As I mention in the Top 20+ Wine Instagram Accounts article, it is a list meant to be completed over time, and is evolving as I discover interesting new wine Instagrammers that I find worth exploring. The ranking is subjective based on the apparent popularity of the accounts and their level of engagement, and the subjective quality of their content. It’s not exhaustive, nor is it scientific. So, I use this list to browse and discover popular Instagrammers worth checking to see if you like their content. The last question Julien, what’s your favorite wine? It’s a question I get asked a lot! I think every wine, as long as it is well made and with some enjoyable flavors, is interesting for what it is, a bit like people. Some people are good at one particular thing, and that’s what you like them for, others are enjoyable for different reasons. So I can’t really rank my favorite wines. There are hundreds of wines that I find interesting for many reasons. The ones I feel most connected to though, are those of Tuscany, Central/Northern Spain, Australia and California because I worked in those regions and made incredible human connections with the people living there. But I love Bordeaux wines, Languedoc, Burgundy, Champagne absolutely, the Northern Italian Nebbiolos as well as Valpolicellas. I told you, so many. I guess if I had to pick just one though, it would probably be Château Margaux. Because it’s an amazing wine to start with, combining depth and concentration with some of the most outstanding finesses and elegance in Bordeaux, but also simply because that’s where I learned my craft as a young winemaker, and where I learned how to appreciate the huge level of complexity that can live in wine. I want to dedicate this great success to all of you. It’s all because of you that support @winerylovers every day with a lot of likes, comments and direct messages. 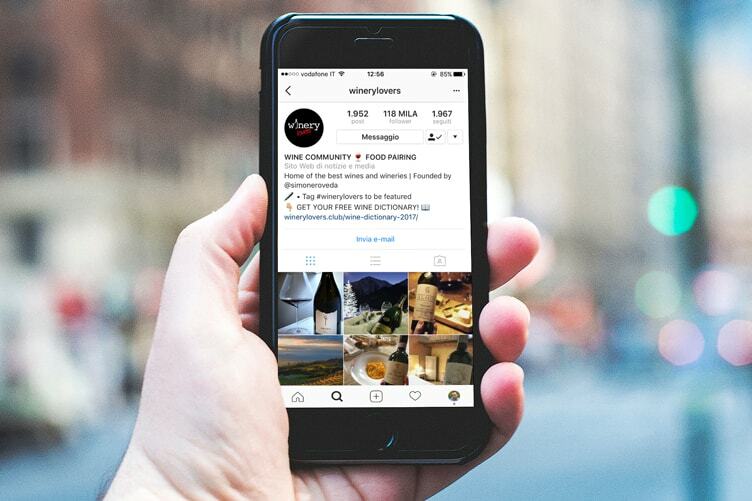 Without you, @winerylovers could not have to reach the 3rd position for best wine account on Instagram! Remember that Winery Lovers is your wine community. Request your free entry to the private wine club! You can share your wine tastings or suggestions about restaurants and bar with a lot of wine lovers. Julien and me are waiting for your comments and your (potential) questions. Furthermore, if you liked this post why not share it with your friends on Twitter.